For people with edentulism (total loss of teeth), removable dentures is a viable option for regaining both lost function and an attractive appearance. From the moment they begin wearing them, denture wearers can chew food, speak and smile with confidence. But there are downsides to dentures, especially if they’re not cared for properly. Dentures put pressure on the gums and bony ridges of the jaw, which can cause bone to dissolve (resorb) and decrease its volume over time. Without proper maintenance they can also become a breeding ground for bacteria and fungi that not only lead to bad breath but, in cases of partial dentures, can increase the risk of dental disease. They could also contribute to serious systemic diseases. You can reduce some of these risks by following these 3 important denture maintenance tips. 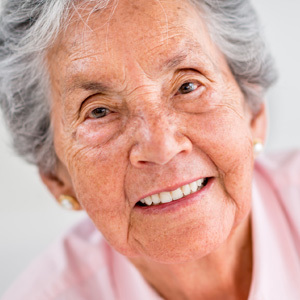 Doing so will help extend the life of your dentures, as well as keep your mouth healthy. Clean your dentures at least once a day. In addition to taking your dentures out and rinsing them with water after eating, you should also brush them daily with dish detergent, antibacterial soap or denture cleaner — but not toothpaste, which is too abrasive. Effervescent (fizzing) cleaning tablets also aren’t a viable substitute for manual brushing in removing disease-causing plaque from denture surfaces. Take your dentures out at night while you sleep. Wearing dentures 24/7 can hasten bone loss, as well as increase your chances of dental disease or even more serious illnesses. A recent study, for example, found nursing home patients who left their dentures in at night were twice as likely to experience serious complications from pneumonia as those who didn’t. While you sleep, store your dentures in water or in a solution of alkaline peroxide made for this purpose. Brush your gums and tongue every day. Keeping your gum surfaces clean will help reduce the levels of bacteria and other microbes that can cause disease. You can either use an extra-soft tooth brush (not the one you use to clean your dentures) or a damp washcloth. If you would like more information on caring for dentures, please contact us or schedule an appointment for a consultation.